Where did the term “spring cleaning” come from? Many cultures have embraced the practice of thoroughly cleaning the home or office on an annual basis. Whether it’s a method to maintain cleanliness for health reasons or it’s just a psychologically refreshing experience, there’s no doubt that getting a detailed cleaning makes you feel better. If you’re a facilities manager in the Little Rock, Arkansas area, consider whether your business or industrial facility might benefit from a closer look or a deeper clean. When you take into account all the areas of your office or facility, there’s a lot to get done! If you don’t have the staff to complete these tasks on a regular or even a semiannual basis, we’ve got you covered. ServiceMaster Twin Cities offers professional and prompt janitorial services on custom schedules to fit your business needs. Don’t waste time trying to do it all yourself – partner with us and you’ll experience the benefits and increased productivity of a clean workspace. After winter is a great time to think about the areas most affected by the colder weather. This may include the flooring which experienced the heaviest toll from people dragging in dirt and debris from the wetter weather. Getting a good carpet cleaning or investing in proper hardwood floor care, tile and grout cleaning, and concrete floor cleaning will drastically improve the look of your facility. Working with a professional janitorial team like the experts at ServiceMaster Twin Cities can help you identify the biggest problem areas preventing your facility from looking its best. The outside appearance of your business can be just as important as the inside! Freshen up your building’s exterior by cleaning the windows, pressure washing the walkways that experience heavy foot traffic, or even spraying down the walls if they’re made of concrete. It’s also a good idea to inspect the roof for any damages as well. Maintaining a clean workspace is proven to increase productivity as well as decrease illness among staff. 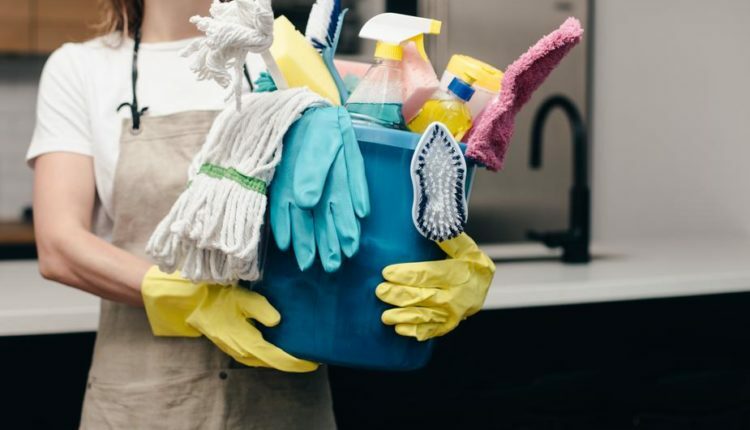 Reap the benefits of hiring a professional janitorial team that can ensure your office or other commercial facility is always in top-notch condition. Contact us today for a quote on services.